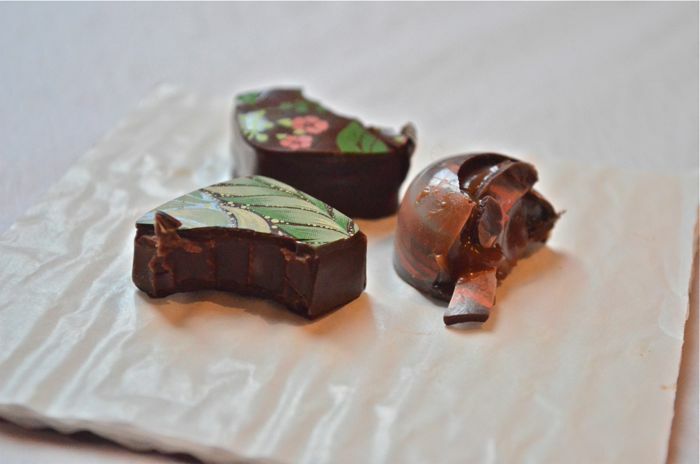 Oh, hello, little pieces of art disguised as chocolate. What's that you say? 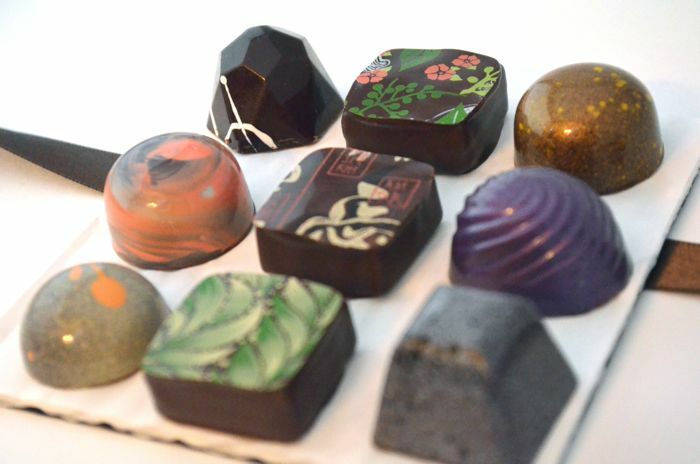 You're almost too beautiful to eat? Not to worry, I'll try each and every flavor of chocolate. Absolutely divine. 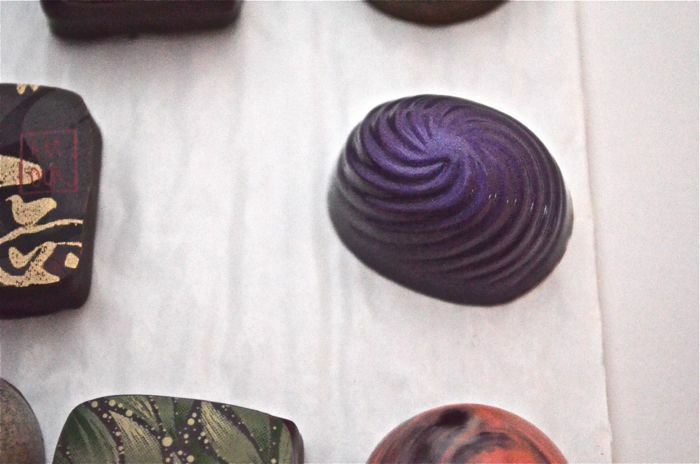 Christopher Elbow Chocolates is a local Kansas City favorite that has received national recognition both for the quality of its chocolates and for its creative designs. 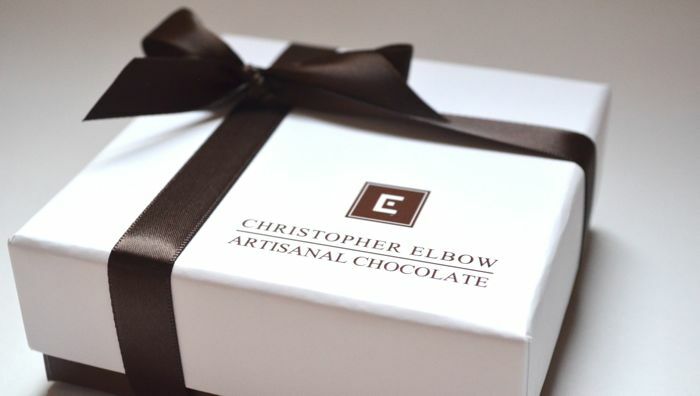 Christopher Elbow cut his teeth at restaurants like Shiraz, Delmonico Steakhouse and The American; eventually opening up his own business. 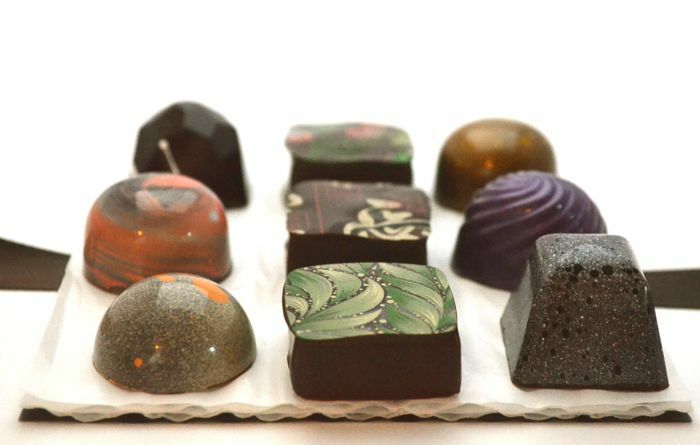 With flavors like Bananas Foster, Lavender Caramel and Yuzu; it can be hard to decide which chocolates to choose. Often, I pick based just on which design I think is the prettiest. 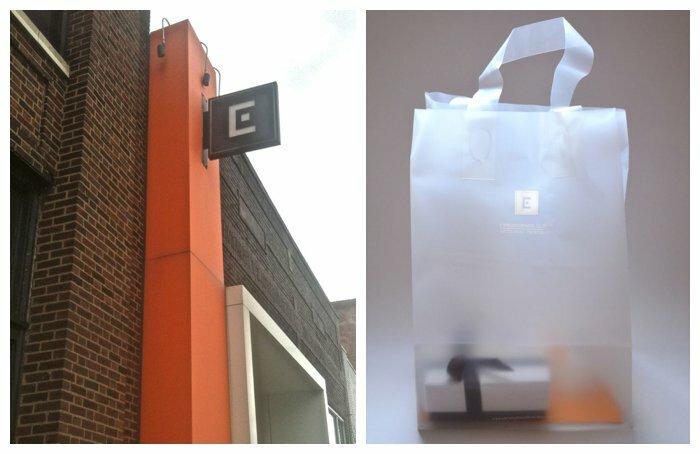 When I visited the main store location at 18th and McGee, I particularly fell in love with the Mango Basil and the Fresh Mint designs.